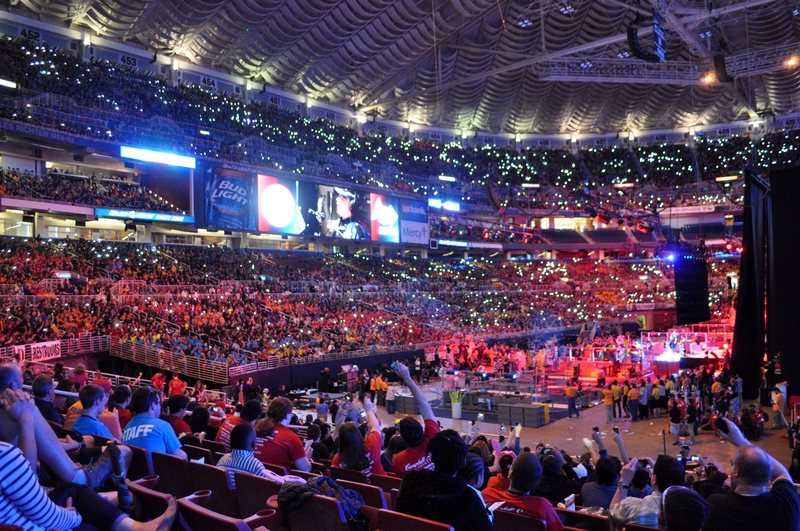 The World Robotics Championship is where the best robotics teams from around the world compete against each other on the grandest stage of all. The journey to St. Louis was tiring but exciting at the same time. To be honest, I had underestimated the bus ride. I estimated it would take from 13 to 18 hours of travelling but I didn’t think much of it. Luckily, I survived, but I came out of the bus with a sore and aching body. I was relieved once we arrived at St. Louis. We finally had the chance to escape the cramped spaces of the bus and enjoy some breakfast. Before we went to our hotel we stopped by the City Museum. The place was bursting with creativity and excitement. There were slides in every corner (one of them was 10 stories high), staircases to climb, smalls spaces to crawl through, and objects to hang from. The place was packed with kids of all ages. Adults were having fun too. The RoboLancers weren’t the only robotics team in the building. I saw plenty of other teams having fun before the start of the competition. The next day was the start of the qualification matches. I’ve been to many robotics competitions in Philadelphia but they were nothing compared to the World Championships. Everything was bigger, better, and more exciting. Teams from all over the world such as Australia, Mexico, and Israel arrived to compete. The stands were filled with people rooting for their teams. The team spirit I witnessed during Worlds was unbelievable. People were chanting, yelling, and dancing around the place. While we were at the Edward Jones Dome/America’s Center, I got to roam around for a bit with my friend. While we were travelling to the Pit area I saw a bunch of people crowding around someone. Curious, we went over to see who they were talking to. The first time I came close to a famous person was last year during the summer. In my mind I knew that this was a rare opportunity and that I shouldn’t let this chance pass me by. People were getting his autograph and taking selfies with him. 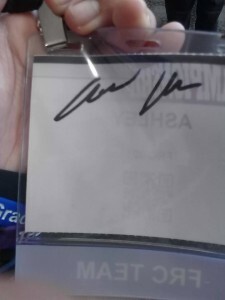 My friend was anxious to go to the pits since we were on a tight schedule but I absolutely refused to leave until I got a signature from Woodie Flowers. I met Woodie Flowers and got his autograph. This was something I never thought would happen in my life. I went on to brag about this to my other team members but I stopped when two of my friends met him the next day and took a selfie with him. We later then went to the pits where we went crazy hunting for team pins, wristbands, and other cool toys. We were at Worlds and we wanted to experience everything as much as we could. Later in the day the opening ceremony began. It was a paper airplane extravaganza. That’s the best way I can describe the opening ceremony and the rest of the competition. Never in my life have I seen so many paper airplanes being thrown in the air. They were quite impressive. The competition continued for the next few days. Finals were around the corner and we competed with all we had. We ranked in 54th place in the end. 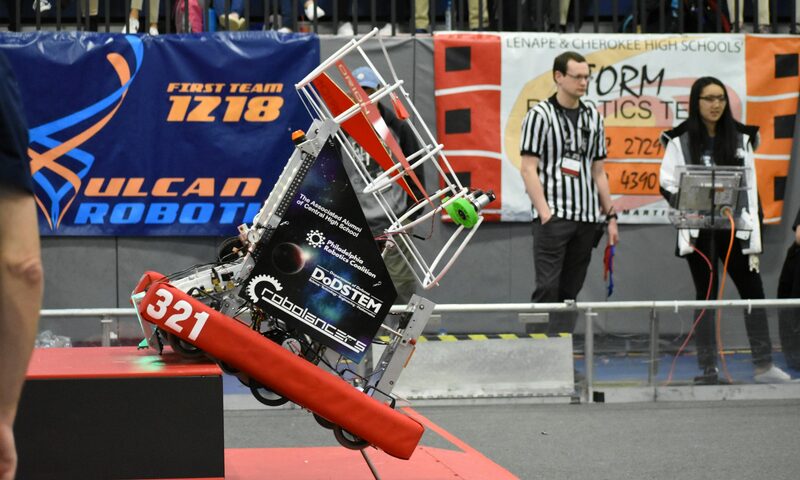 Unfortunately, we didn’t get picked during Alliance Selection so we couldn’t compete during the Einstein Playoffs. However, we didn’t let that dampen our mood. The ending ceremony arrived with a concert and everyone enjoyed themselves during our last day in St. Louis. Going to the World Championship was an experience I’ll never forget. I got the chance to meet people from all over the world, go to the Gateway Arch, meet Woodie Flowers, and collect team pins in the pits like a madwoman. I want to thank all of our sponsors for supporting the RoboLancers and helping us with our trip to St. Louis. This would never have happened without your support. We went to the World Championship twice already. I’m hoping for round 3.